Awareness Seminars for the Promotion of PASTIC Services at Zoology Department, University of Peshawar. PASTIC sub Centre Peshawar organized a one day awareness Seminar, titled: PASTIC S&T Services for young Researchers of Zoology Department, University of Peshawar on December 07, 2018. Deputy Director PASTIC-Peshawar shared PASTIC/PSF S&T activities with the participants in detail through PASTIC web page, and also gave short practical brief on research methodology adopted by PASTIC through online data bases. A total of 41 Students from M.Sc final attended the presentation. During the presentation the students were briefed that how they can get benefit from PASTIC online resources and the way to fill Bibliographic / Documentation request form and send online. A very effective question answer session held at the end of the presentation. PASTIC services broachers were distributed among them. 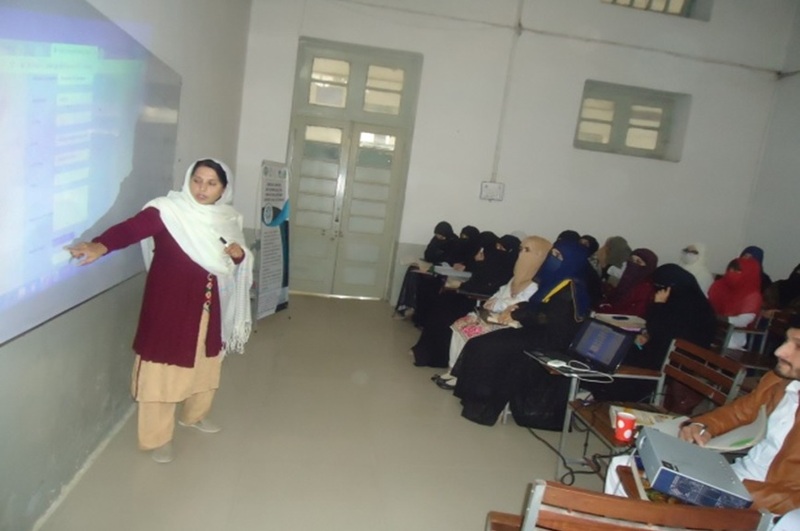 Ms. Ghazala Ali Khan (Deputy Director PASTIC Peshawar), during her presentation at Department of Zoology University of Peshawar.